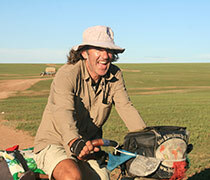 Álvaro Neil will talk about his bicycle trip around the world as a clown bringing a smile to the most disadvantaged people. 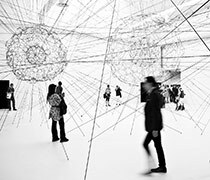 Ménage à Trois is an unconventional conversational format curated by Spanish architects Eduardo Rega, Marina Otero and Ignacio González. 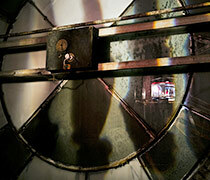 The iconic former Bank of Manhattan building opens its doors, vaults and even illuminate The Clock Tower to host an immersive and ambitious site-specific exhibition. Inspired by Stanley Milgram's psychological experiments, the performance explores the human necessity of creating rules to organize society and the world. International celebration of the Spanish language and Hispanic cultures at Instituto Cervantes New York. 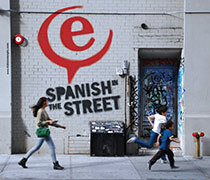 Jump-starting summer fun, the Spanish Soho Mile is coming by again soon. Spain’s premier fashion and jewelry event in Soho invites you to Follow the Red Dress! Kukuxumusu. Drawing humor even if it’s not funny. 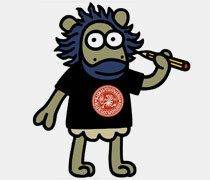 Artist Talk with Mikel Urmeneta, creator of Kukuxumusu at the Instituto Cervantes New York. 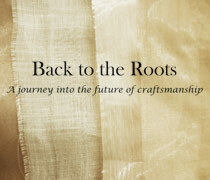 Art and hand crafted work fuse together in the creativity of Spanish fashion. 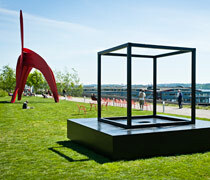 On-Site, the second summer exhibition at the Olympic Sculpture Park, brings together new sculptures by Gretchen Bennett, Nicholas Nyland and Carolina Silva. No Longer Empty redefines public art by transforming empty storefronts into public art exhibitions with accompanying programs. 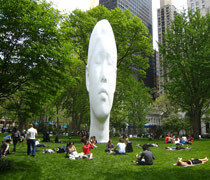 A monumental work by artist Jaume Plensa will be erected at the Lawn in Madison Square in New York. 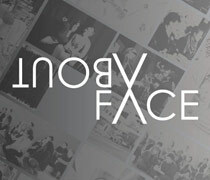 You are viewing our Urban Culture archive.